There are many ways to get involved outside of the church’s walls, both locally and globally. Use your talents and interests to make new friendships, help others and grow spiritually. Check out the links below to see how you can make an impact for the good! 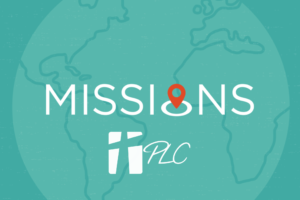 Re-Apply for PLC Mission Continuing Support. Once completed, send your applications here. Click here for prayer support. You can also provide financial support to a variety of great causes through PLC.